"We believe in Merino jumpers so much we extended the offer with zip, roll and turtle-neck styles. The best thing about them is the air of mystery they bring to the look. 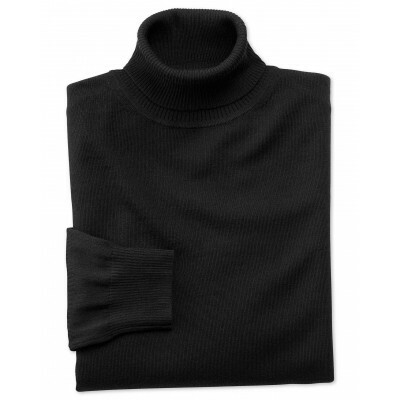 The comfort and practicality remains the same to traditional V or crew necks." Men's Formal Purple & Navy Grid Check Extra Slim Fit Shirt - Single Cuff - Easy Iron..